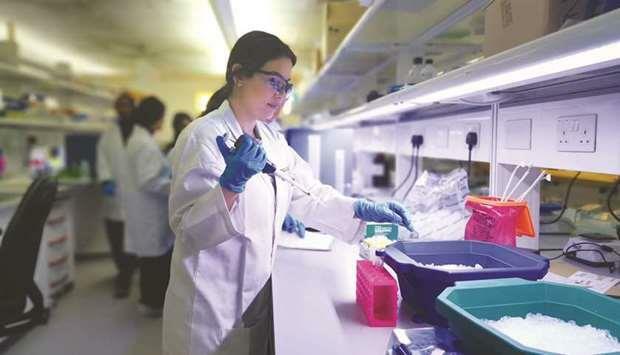 (MENAFN - Gulf Times) The College of Health and Life Sciences (CHLS) at Hamad Bin Khalifa University (HBKU) has signed a memorandum of understanding (MoU) with Equine Veterinary Medical Center (EVMC) to collaborate in areas of research and graduate education. Commenting on the collaboration, Dr Stuenkel said: 'Our collaboration with EVMC is an opportunity to expand the research performed at the systems and stem cell levels of the life sciences performed on equines. Our shared objectives will allow for CHLS graduate students to learn about the application of state-of-the-art medical treatments and genomic science advances in veterinary equine care. 'This MoU will also provide EVMC research scientists with opportunities to engage in CHLS educational activities, and opens doors for the participation of CHLS graduate students in next generation veterinary science projects. Dr Johnson said: 'Our partnership with HBKU's CHLS will enable us to contribute effectively to and benefit from a mutual pool of expertise, know-how, and amenities. It marks the beginning of a long-term relationship that will undoubtedly help us achieve our intended objectives and interests. The agreement forms part of HBKU's commitment to pursuing local and international collaborations to promote education and knowledge transfer, and make research opportunities more widely accessible.